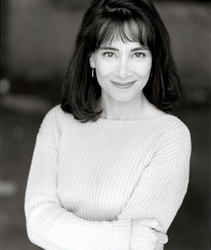 Karen Bernstein portrayed the voice of Sailor Mercury for the first three seasons of the North American version of Sailor Moon. An accomplished voice actor, Karen also was the voice of Kitty in Hello Kitty, Tara and Jett in Bevery Hills Teens, Olivia Owl in Birdz; Mrs. Settergren in Pippi Longstocking, Maggie in Little People, and Tessie Bear in Noddy - to name a few. Karen has also voiced numerous guest roles in a variety of other animated series. A stage actor as well, Karen performed in regional theatres across Canada throughout her acting career, and is an alumnus of the renowned Second City improv comedy troupe. She transitioned a number of years ago to the other side of the audio booth, first as a voice producer and now a voice agent.